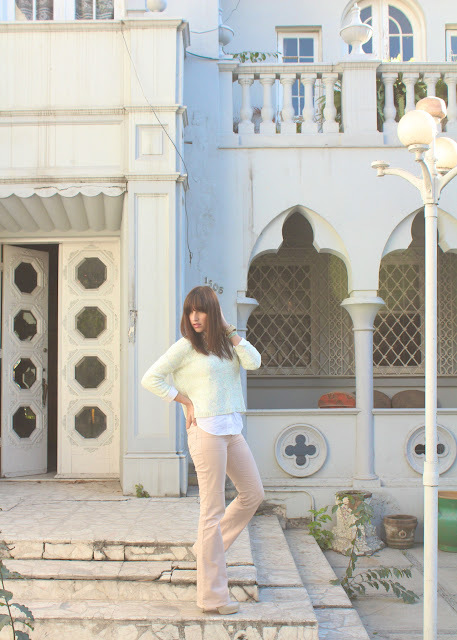 Let’s welcome the spring with a cute feminine look! Today I’m posting a my first official spring outfit, so I wanted it to be fresh and casual, but with a more polished approach. I wore my new dot printed pants and paired them with a pretty flower form embroidered shirt, creating a simple yet very chic outfit. go complete it, I wore a pretty flower detail tweed bag and a pair of big romantic earrings, and finished up with a light natural makeup and slick pulled back hair, getting that sweet spring look I was going for. Dot printed pants - Sfera / Embroidered blouse - Sfera / Romantic earrings - Forever 21/ White watch - Michael Kors / Tweed shoulder bag - River Island / Cream pumps - Aldo. I’m so excited, now that spring it’s officially here! I can’t wait to wear all my new clothes and create many cool outfits. It’s time to let our imagination run free and play with bright colors and bold prints, making fun and flirty looks to brighten up the season! So what are you wearing to welcome the spring? After a super long work day, I finally got home and got time to write this delayed post, I’been super busy with many projects, that I haven't had time to post as often as I’d like, but I’ll try to make time so I can keep on track. 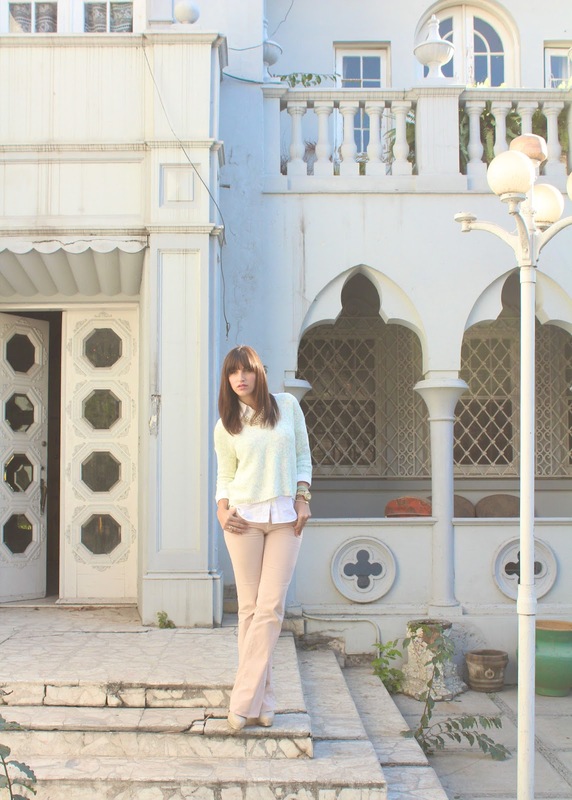 I wore this pastel look last week, I layered my cute pastel sweater on top of a basic white shirt, to keep warm on a chilly day and paired it up with my blush flare pants, to create a sweet combination of pale tones. That work great for spring, but are still functional for the winter’s cold that refuses to leave. Spring is just a couple of weeks away, and as much as I’ll miss wearing winter clothes, I’m more excited to wear and apply all the amazing spring trends on my daily looks. As you may know, dressing between seasons always tends to be tricky, one day it feels so warm that you want to wear a pair of shorts and then the next one, the cold comes back and makes you realize that it isn’t time to wear them yet. So the best way to transition from one season to another, is to mix trends from both seasons, this way you don't have to worry about feeling out of place. You can wear something that screams spring, like this pretty pale pink trousers and then paired them with a not so spring looking top, like this printed jumper which fabric and color are more sober, but the floral print matches perfectly with the pants.